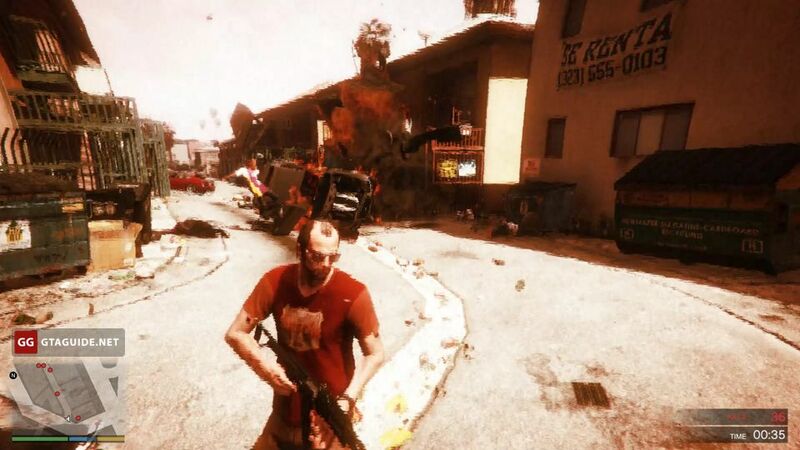 Before starting the rampage, ensure that Trevor wears a body armor. 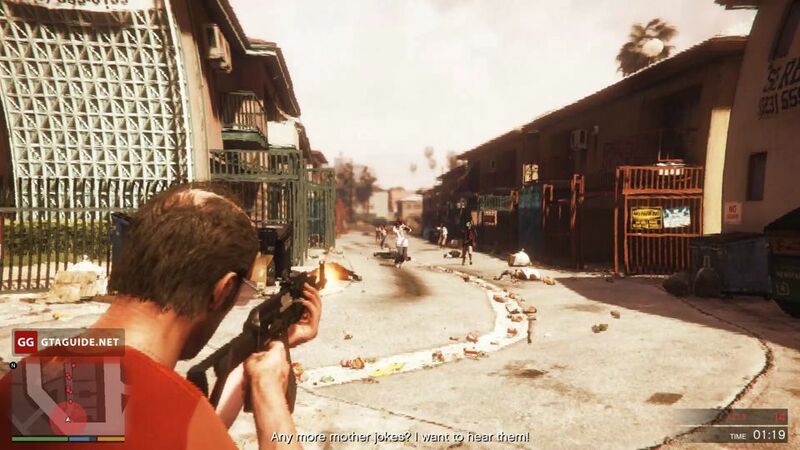 Enemies are not too dangerous, but a bullet-proof vest, as well as using of special ability during the mission, will not hurt. It’s best to stay at the crossroads near the starting point. You need to constantly move, notice enemies coming from all directions, and don’t stop the fire for a second. 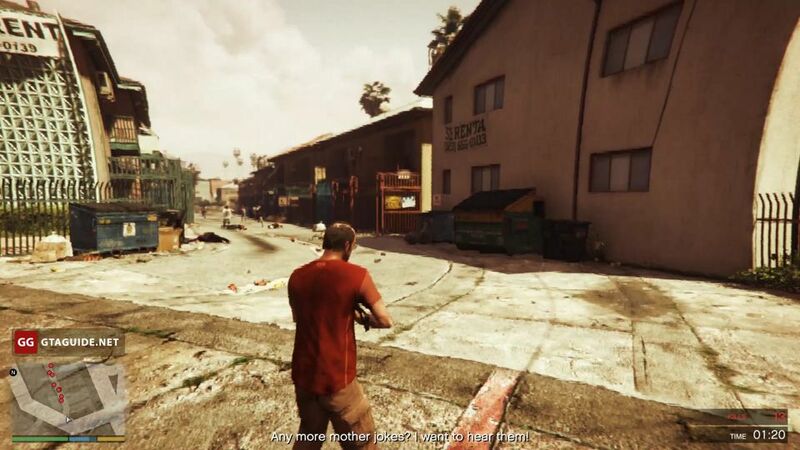 If you go into the alley, the gangsters will start fire an RPG at Trevor. Enemies will come from the alley, from the street on both sides, and also appear on the rooftops in the alley. To get the gold medal you need to get at least 6 headshots and blow up two vehicles. Ballas, that come by cars, can be shot through windows or exploded by grenades. It’s better to do this before they manage to get out of the cars and open fire. 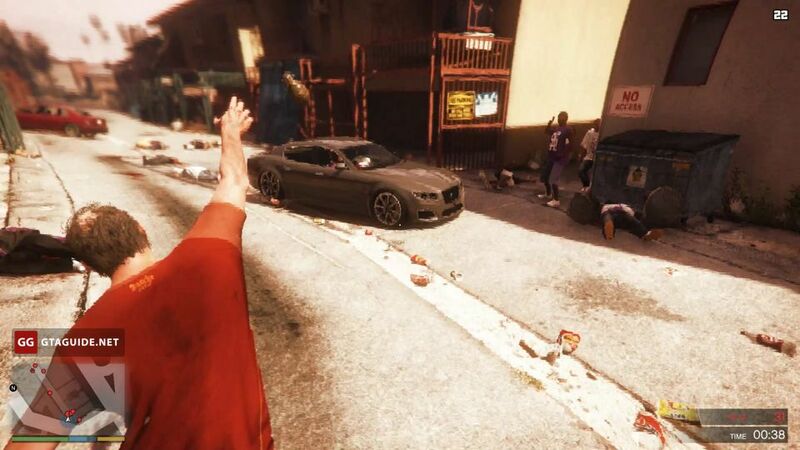 Also in this rampage is a high probability that the enemies will try to hit Trevor by cars.